A resolution declaring that “freedom from domestic violence is a fundamen tal human right,” which local governments have a responsibility to continue securing on behalf of their citizens, was passed on October 5 by the City Council in Cincinnati, Ohio. Six days later, by a 7-3 vote, the City Council in Topeka, Kansas, repealed its local law that made domestic violence a crime. This withdrawal of local protection was justified as a means to manage the city’s struggling budget (by limiting the legal prosecutions that are paid out of the city’s budget). These two moves this October, Domestic Violence Awareness Month (DVAM), come in the wake of a stern and public reminder to the United States of its duty to protect women, children, and men from intimate partner violence. In mid-August, the Inter-American Commission on Human Rights published its opinion finding the United States on the wrong side of human rights and domestic violence survivors. (See IntLawGrrl Caroline Bettinger-López’ analysis of the opinion here). The Commission had considered the case of domestic violence survivor Jessica Lenahan (formerly Gonzales), whose three daughters were abducted by her abusive husband, Simon Gonzales, in Castle Rock, Colorado, in 1999. The girls were eventually killed, in the face of police apathy towards Jessica’s repeated calls, despite her existing domestic violence restraining order against Gonzales. The Commission found that the U.S. had indeed violated human rights by failing to protect its nationals from domestic violence. This international shaming has not been adequately internalized, as is clear from the policy decision in Topeka. At the heart of the decision in Topeka in 2011 or the inaction by the Castle Rock police in 1999 is the continued relegation of crimes within the home to a secondary, non-urgent status, despite the clear evidence to the contrary. On average, as per U.S. Bureau of Justice Statistics, more than three women and one man are murdered by their intimate partners in this country every day. In fact, of all the women murdered in the United States, about one-third are killed by an intimate partner. The Center for Disease Control has found that one in four women and one in nine men in this country report being victims of domestic violence at some points in their lives. It is quite impossible that each of us does not know at least one survivor of intimate partner violence. Domestic violence, or vicious cycles of power and control, are strengthened by the lack of acknowledgment and attention from policy-makers, law enforcement, and society at large. A must-see documentary recently released on the issue, Crime After Crime, highlights the lack of understanding of the multiple ramification of domestic violence, and the travesties of justice that often result. Money spent on domestic violence is still resented as money wasted on a ‘personal problem’ rather than necessary spending to promote public safety. Domestic violence advocates in our cities, countries, and states have always been over-whelmed with work while being under-resourced: A survey by the National Network to End Domestic Violence found that on September 15, 2010 -- in just one day -- 70,648 domestic violence victims were served and 22,292 hotline calls were answered by domestic violence programs across the United States, even as more than 9,541 requests for services were unmet due to inadequate funding or staff availability. But the resource crunch reaches a whole new level in the face of sweeping policies that seek to simply decriminalize domestic violence! ► Begin Conversations. We can make a quick effort to educate ourselves and ours—family, friends, students, colleagues—on the prevalence of domestic violence (e.g. 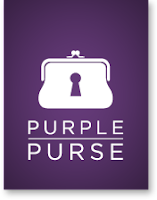 the Purple Purse campaign and the range of options available to survivors of such violence. ► Become Vigilant. These difficult economic times must not become an excuse for policy changes that put domestic violence survivors at further risk. Not in Our City. ► Remain Cognizant. While we remember tenacious survivors like Jessica Lenahan and millions of others, we must also remind ourselves in the U.S. about the recent Inter-American Commission on Human Rights decision—we have a long way to go. The change starts at home. This is great, Thank you. I had no idea that freedom from domestic violence would be considered a fundamental human right in many places--- and this is a great idea. If we can pass more resolutions like this, it is one step in the right direction. The next step, of course, is properly training law enforcement officials to treat it as such.